According to 2015 records of the Mass. Division of Conservation Services, more landowners on Cape Cod have received state tax credits for donating or selling at bargain their land or conservation restrictions than in any other county in the state. In fact, since the program began in 2011, the Cape town of Brewster has seen more projects completed than any other of the state’s 351 communities. A total of 60 landowners had received a total of $2.56 million for preserving their land with local land trusts, The Compact and Town conservation commissions. Almost 300 acres on the Cape were preserved using the tax credit in the 5-year period (2011-15). All of the Cape’s 15 towns had at least one project completed except Mashpee. (One pending in Mashpee in 2016.) A statewide tally of completed projects through September 2016 shows almost $10 million has been awarded to Mass. landowners. The Conservation Land Tax Credit program (301 CMR 14.00) was adopted by the legislature in 2009, implemented in 2011. 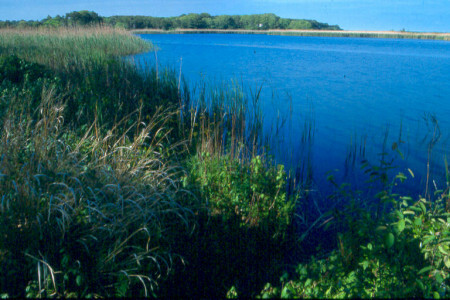 Amended in 2012, it provides a refundable tax credit to Massachusetts landowners with “conservation-worthy” natural land. Landowners need not live in the state or pay taxes here. If the land is eligible, the landowner is eligible. Landowners can claim half of the donated value up to $75,000. They receive a refund check or elimination of their state income tax for that year or both. Gifts of land, conservation restrictions and bargain sales of property are all eligible transactions. The conveyance must be made to a non-profit conservation organization (land trust) or town or state environmental agency. The landowner must have clear title and support the tax credit claim with an appraisal. See guidelines summary. On Cape Cod, conservation transactions under the tax credit program have ranged from a conservation restriction on 1 acre of pine woods in Wellfleet to a bargain sale of 40 acres of barrier beach and marsh in Dennis. The Compact has processed more tax credit projects than any other entity in the state. The tax credit from the state is in addition to a federal income tax deduction for the same transaction. One example: Landowner donates an eligible forest parcel worth $180,000. She would receive the maximum $75,000 from the State. The $180,000 gift could also provide her with $45,000 to $60,000 in saved federal taxes (over multiple years), if she is in average tax brackets. If she sold it for development instead, she would have broker’s fees and capital gains taxes to pay. The net difference between the two outcomes might not be great in dollars–and the land would be preserved! For more information or a free, private consultation, contact The Compact’s Executive Director Mark H. Robinson at 508-694-7415 or mark@thecompact.net. 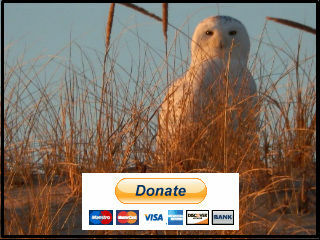 He can also help you with the eligibility application form and partnering with your local land trust on the Cape or elsewhere in Massachusetts. There are many happy landowners! An Illinois landowner received a Mass. tax credit for preserving this meadow in Truro.